Designer <a title="Asif Khan" href="//www.asif-khan.com/#item5">Asif Khan</a> has taken the subdued aesthetic of <a href="http://en.wikipedia.org/wiki/Gypsophila">Gypsophila</a> (better known as Baby's Breath) and let it bloom into something splendid to sit on. 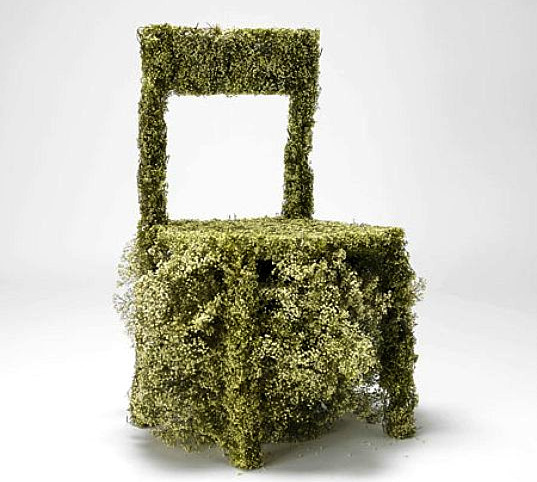 Kahn began working with the flora when he was challenged by the <a href="http://designmuseum.org/">Design Museum in London </a>to create something special with London's local plant life as a base material. 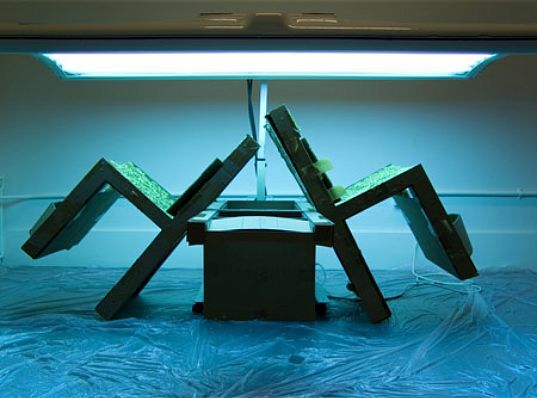 What resulted was "Harvest"—a breathtaking series of furniture in which the sturdy is fused with the delicate, and the bland becomes something spectacular. The Baby's Breath was cultivated, shaped, and then freeze-dried. Once the flowers had dried, they were covered in a linseed resin to help them keep their shape. 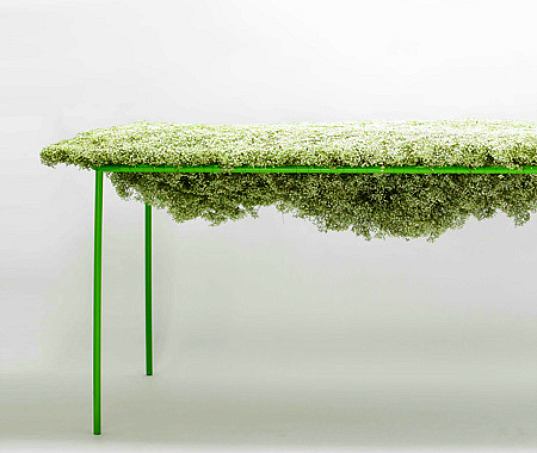 These resin-covered flowers were then transformed into items of furniture. Khan's furniture bridges the gap between the delicate and the sturdy. 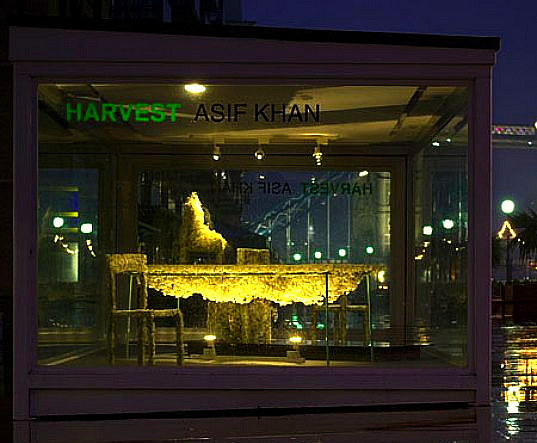 Harvest is an interesting concept that not only brings light upon the use of unconventional, under-appreciated materials, but reinforces a connection between the interior and natural exterior world—a place we often forget to consider in our busy urban lives. 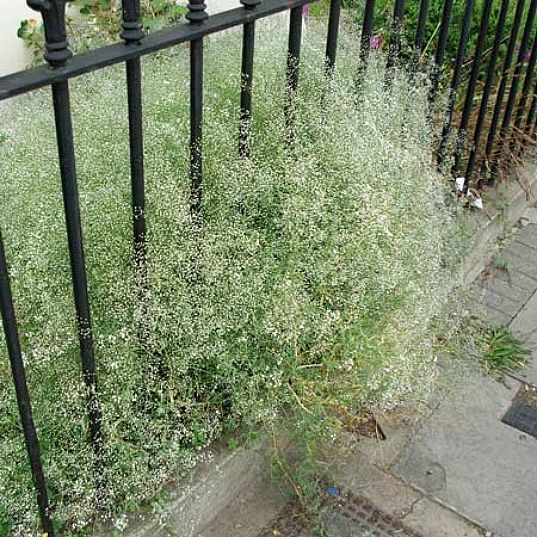 Baby's Breath (Gypsophila) in full bloom. 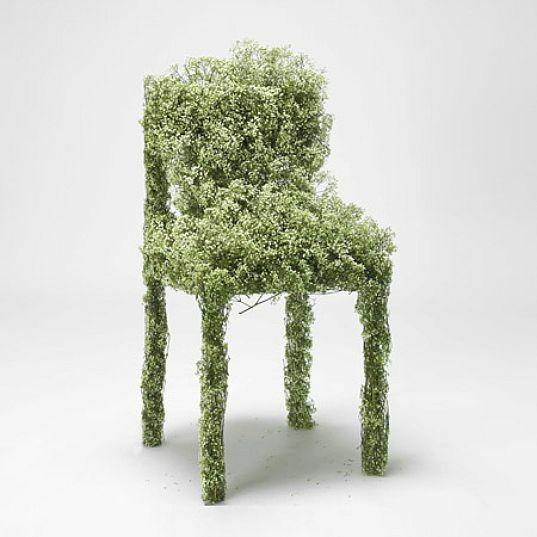 Designer Asif Khan has taken the subdued aesthetic of Gypsophila (better known as Baby's Breath) and let it bloom into something splendid to sit on. 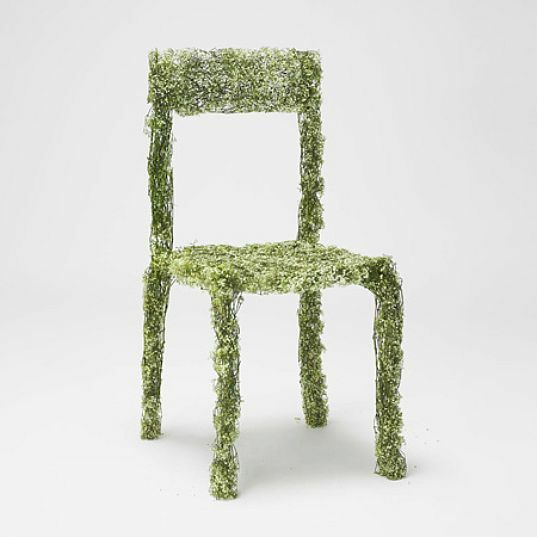 Kahn began working with the flora when he was challenged by the Design Museum in London to create something special with London's local plant life as a base material. What resulted was "Harvest"—a breathtaking series of furniture in which the sturdy is fused with the delicate, and the bland becomes something spectacular.